Being one of the vital tourist spot of Manali, Vashisht village is a blend of natural spring’s, sandstone temples etc which takes its beauty to next level. This village is snuggled on the bank of River Ravi. There are many hot springs here which are believed to cure any skin ailments. Government has established separate bathing facilities for both men and women. Within close vicinity of this bathing facility, there are temples for Lord Rama, Goddess Sita and Lord Laxman. One can also see a black statue of a Sage, names Vashisht here. The village has a deep link with Indian mythology. 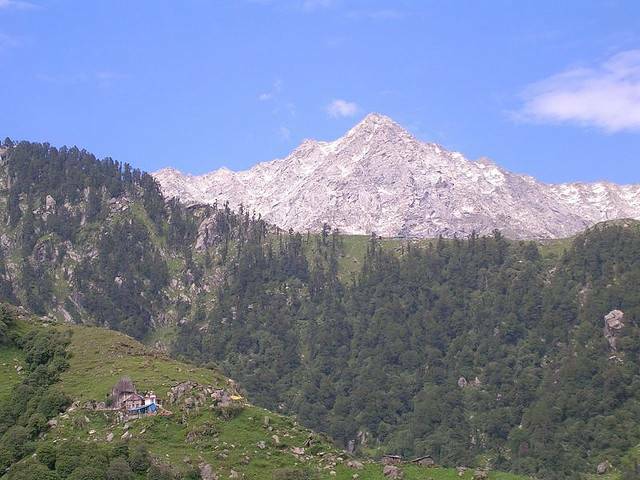 According to which, one of seven sage Vashisht has reached this place floating across River Vipasha, on which he jumped to commit suicide after his sons was killed by a Sage Vishwamitra. River Vipasha is later named as Beas River.